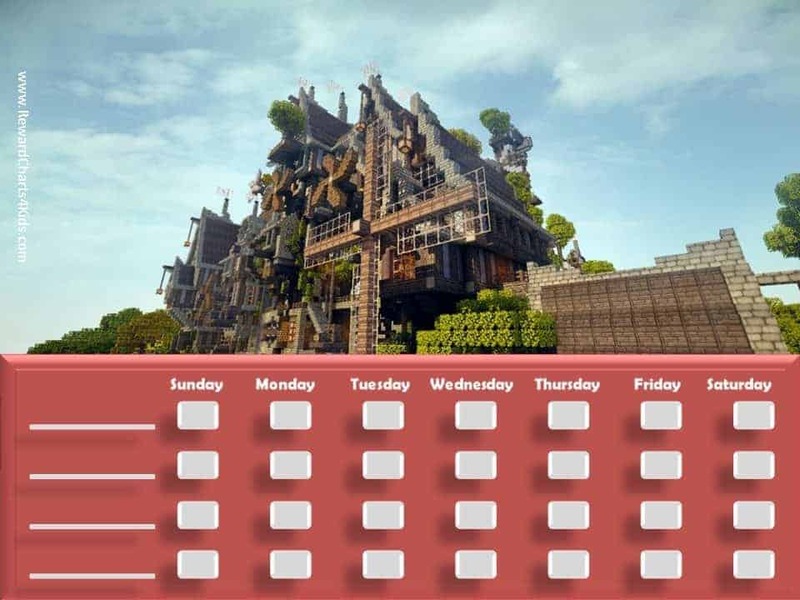 Free printable Minecraft behavior charts which can be used for various purposes by parents or teachers. 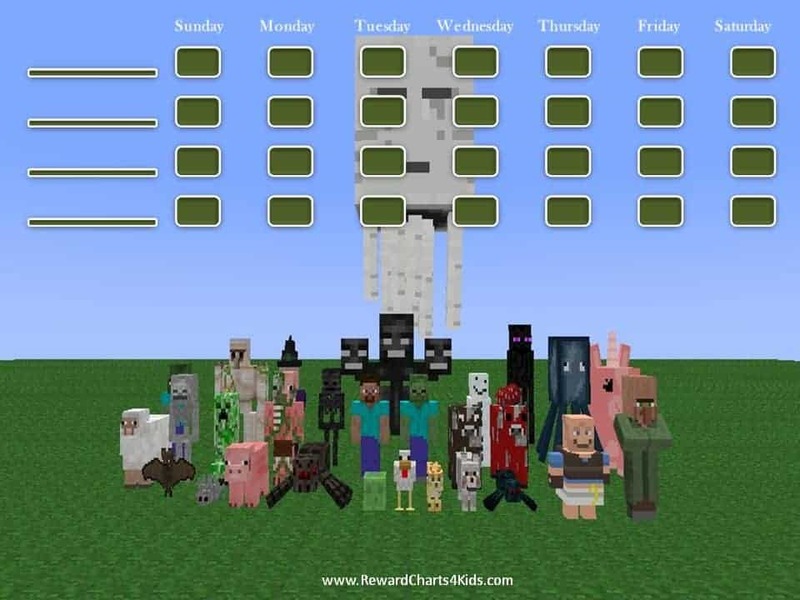 I’ve received a few requests for a Minecraft reward chart recently so I finally got around to making some for you. 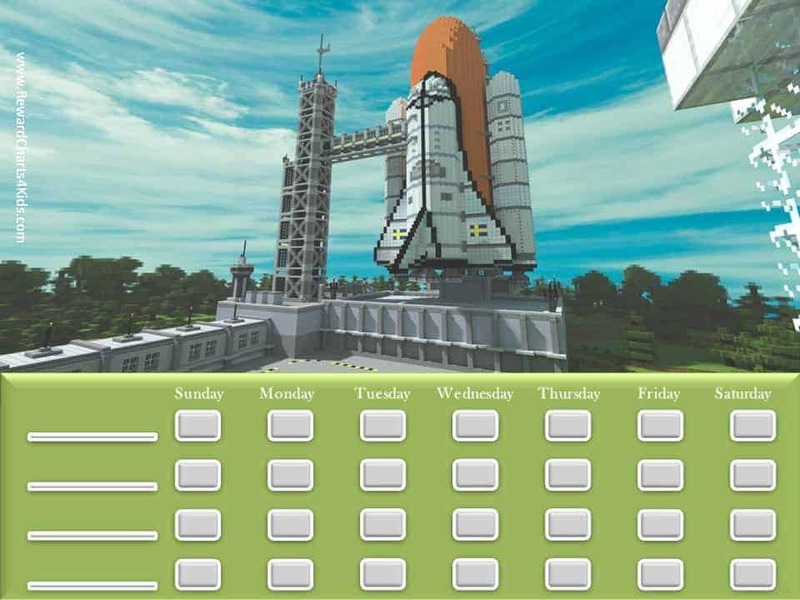 These templates can be used as behavior charts, potty charts or chore charts. There is space to add your chore list or list of things that you child is going to try and improve. Weekly reward chart (Sunday to Saturday) with space to write four issues that you can focus on. Write your chore list on the lines to the left and mark each chore once complete. If you have a special request and would like to us to create a behavior chart that you don’t see on this site then please leave a comment and we will try and help if we can. 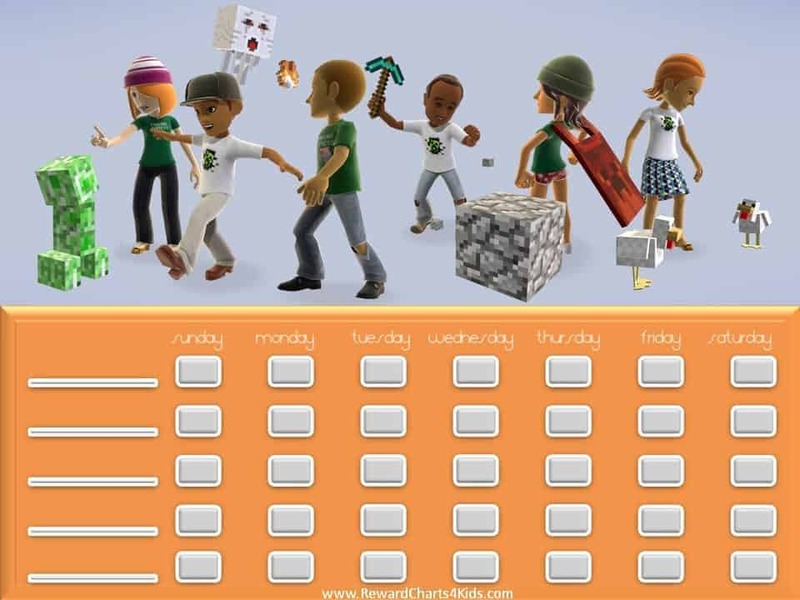 I would love a Pokémon, and a Ninja Turtle chore chart please. These would really be helpful to have for my foster children. 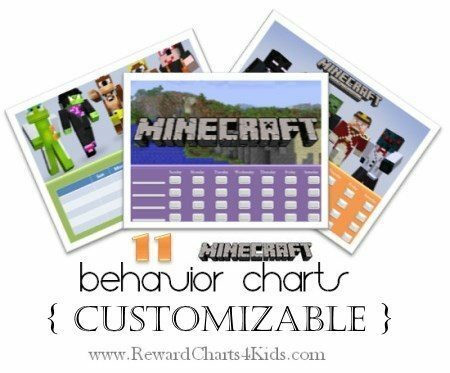 nice minecraft behavior charts! like em! did I tell you that im a kid by the way? 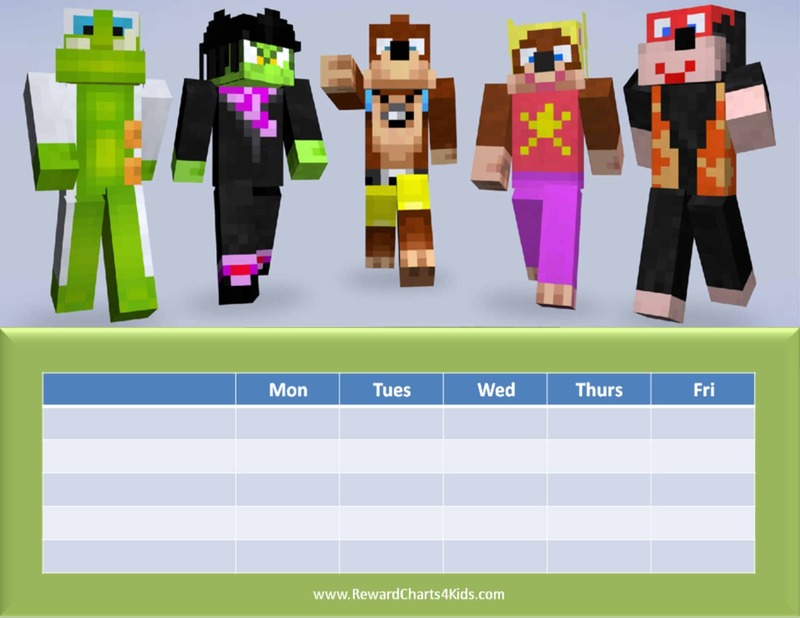 Hi, can you do a 5 day minecraft reward chart for use in school. Monday to friday? 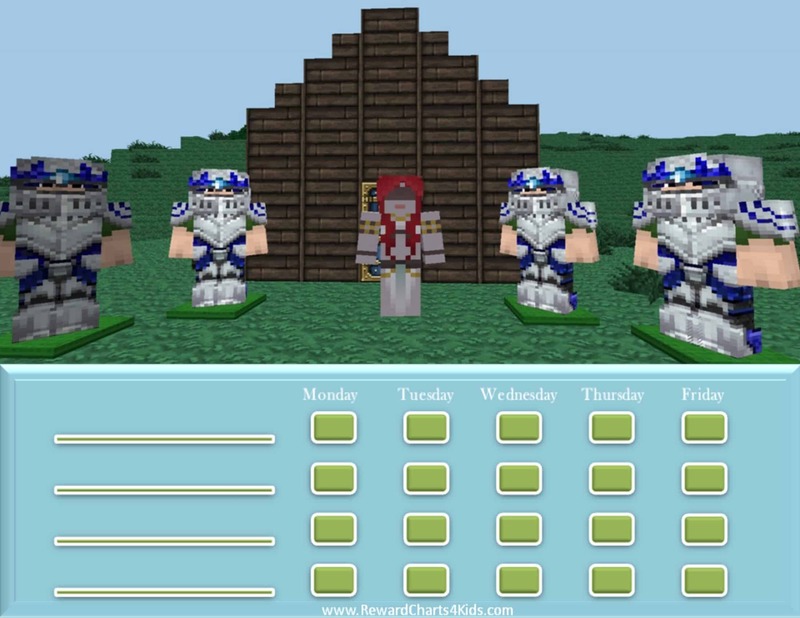 Andrew, I just added three 5 day behavior charts. I hope they help! 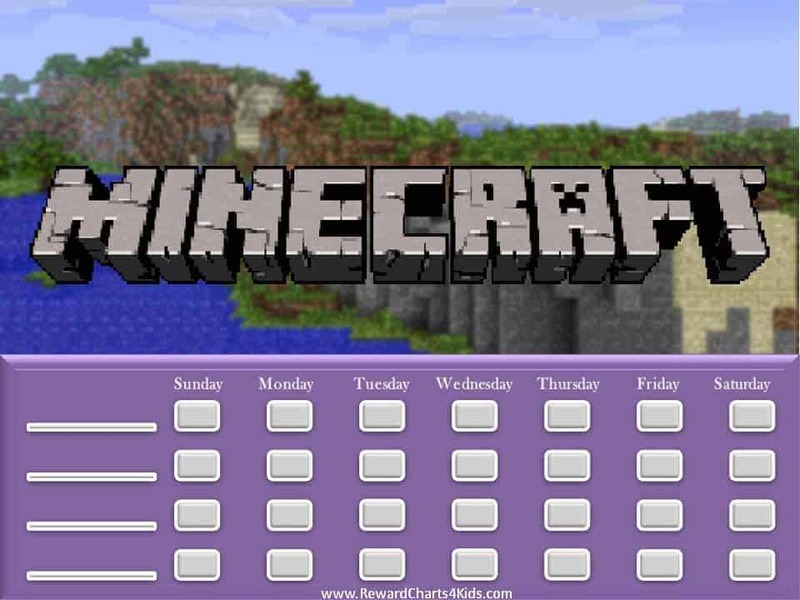 I was wondering if you could please make a Minecraft Behavior chart, Monday thru Friday, for am and pm on one chart. 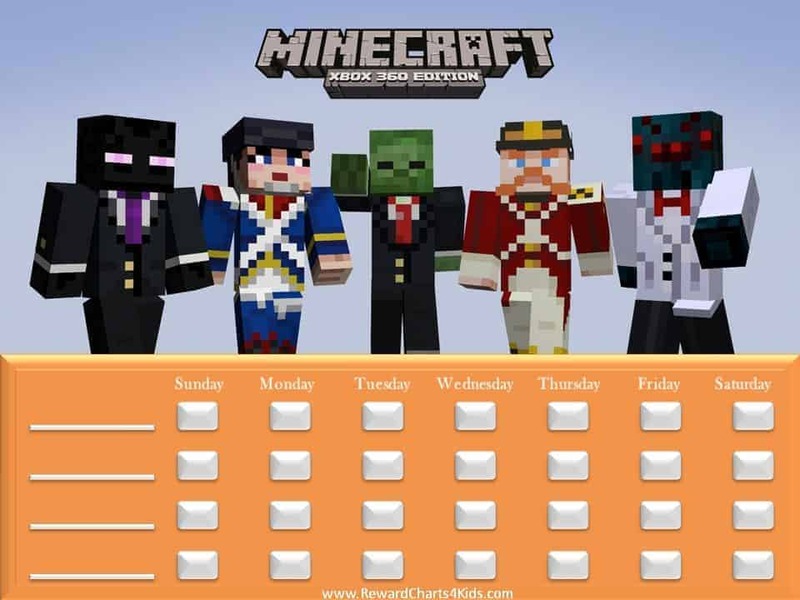 Also, maybe a Minecraft one that does not have any days, just maybe 20-30 spaces. Thank you. Hi I’m loving the choice of reward charts but help I don’t know how to download them. I think I have part installed the software require but can’t seem to get to final product. Step by step please I am very much an average computer user. Jennifer, you don’t need to download any software in order to download our charts. I have written a step by step guide as per your request. 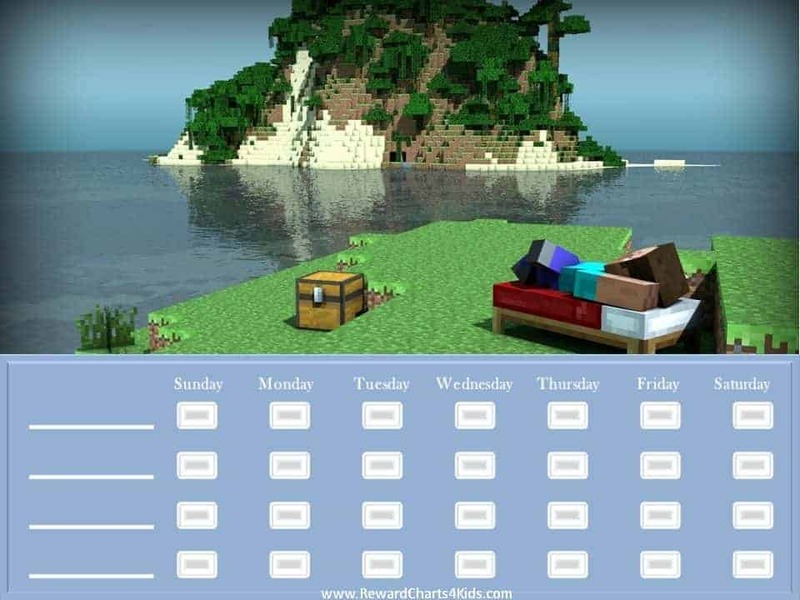 My son is super into Minecraft and I have been looking high and low for Minecraft themed reward charts. 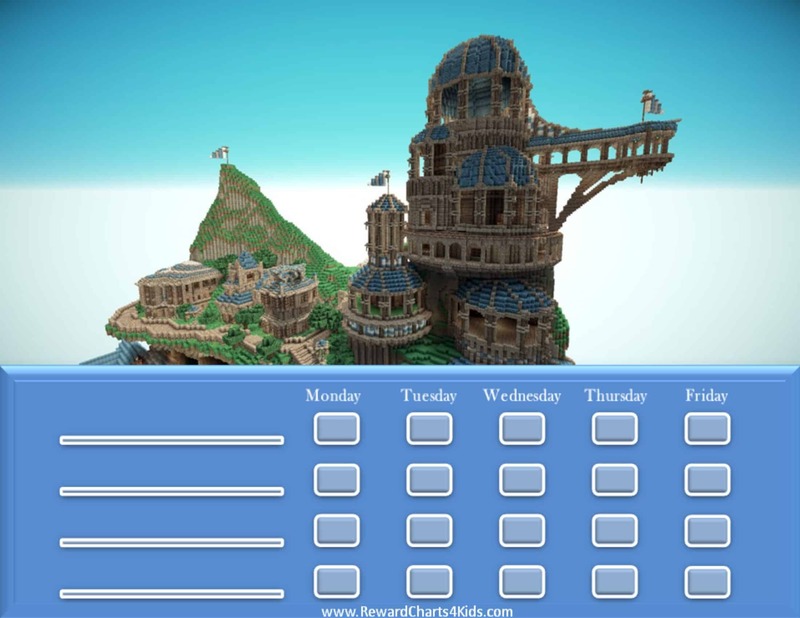 Any chance you could create one that has 7-9 blank spaces for the tasks to be completed throughout the week? He’s a teenager and 4 blanks nearly don’t suffice. 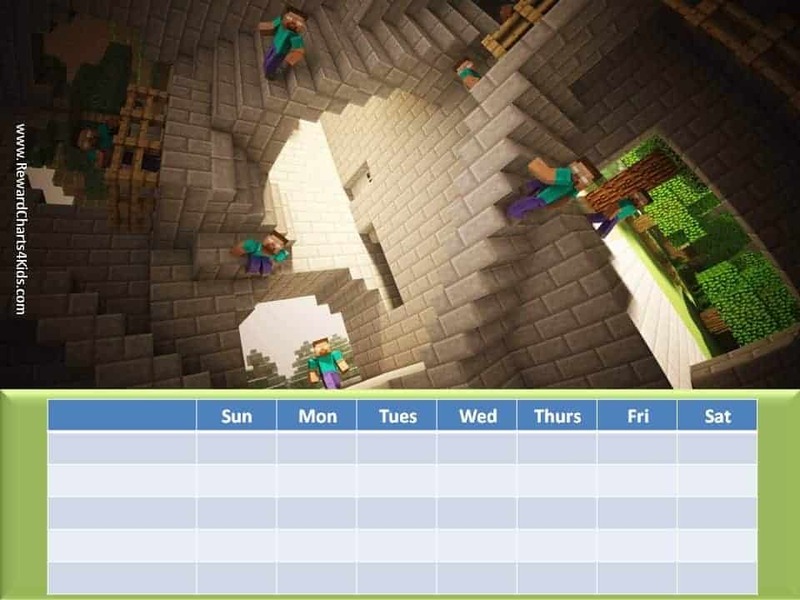 I am a third grade teachers with two boys obsessed with Minecraft that need inspiration. I think they would love these charts buy is there any way you have just a blank one with just the small squares in it. I want them to earn so many squares to get their prize. 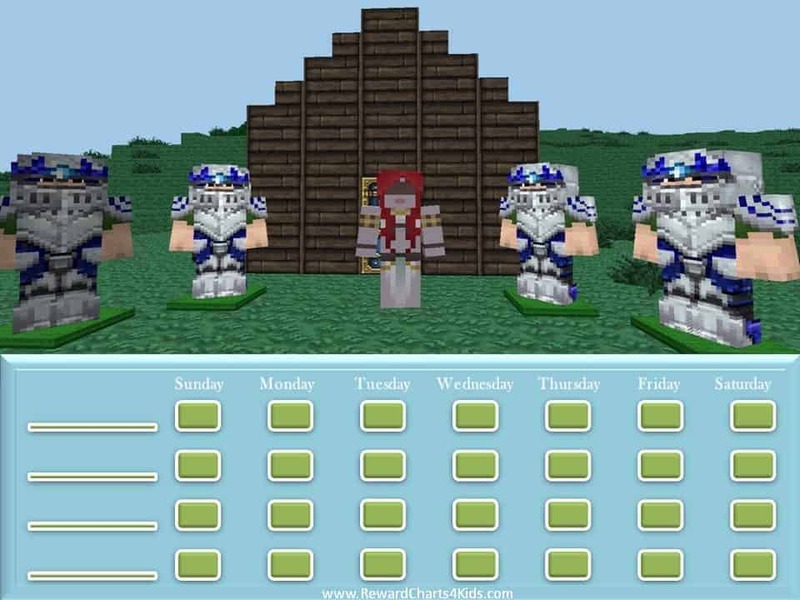 It would be simply to have one that didn’t have all the extra stuff on it, just the small squares to put stickers on and a cool Minecraft photo. Thank you for making this! And for sharing! You are wonderful! Are you able to produce the same amazing charts but with additional rows to add more lovely chores and tasks to please, about 10 – 15 would be perfect if this is possible.